Helping you achieve financial security. At COUNTRY, we help you achieve financial security no matter where you're starting from. We offer insurance and financial services solutions to help you protect the things that are most important, like your family, your home, your child?s education and your retirement dreams. To do that, we?ll help you build a tangible financial security plan that guides you, step-by-step to a financially secure future. Backed by a team of experts, your COUNTRY Financial representative will be with you every step of the way to help you achieve your goals. In fact, another benefit of our one-on-one relationship is a regular insurance and financial review. We know you?re busy so we?ll review your plan so that it remains flexible as your situation changes and your needs evolve ? we?ll help you stay on track. We look forward to putting our experience and financial strength to work for you! 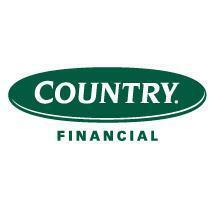 No reviews were found for Country Financial.